Not only does Panel Built wish to maximize your office space, we want to do it to your exact specifications. 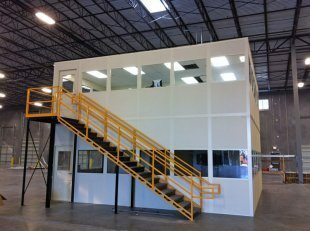 Therefore, we offer several different options for the build-out of your modular office. By doing so, we are able to accommodate a wide range of office conditions. Each panel is individually constructed, and customized in-house. This allows for ample build-out options. Outlets for data and electrical raceways can be located based on office arrangement. Doors and windows can be sized, and placed, according to the customer’s wishes. Furthermore, full HVAC options are available for a more comfortable work environment. Panel Built also offers full modular wiring capabilities. With both convenience and affordability, modular wiring can serve as a raceway for both power and data, further increasing the capabilities of your modular office. 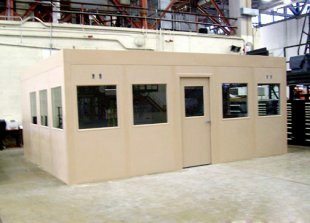 Panel Built offers three primary options when considering which type of wall and roof panel your office can be constructed with. This is Panel Built’s standard panel core. Options include a vast range of wall finishes, which are then combined with a 3” high-density polystyrene core. Electrical and data raceways run between wall panels via Panel Built’s binder post system. The Value Core is our most affordable option, and can possibly qualify your next office for our 2-Day Quick Ship option. Panel Built has received certification for, and now offers, a one hour fire-rated core option. These panels consist of a mineral wool core complete with mechanically fastened 26 gauge steel studs. This core offers excellent protection, and is ideal for hazardous work environments, or environments with increased insurance requirements. Interior and exterior walls are typically fitted with vinyl coered gypsum and/or 20g stucco embossed steel sheeting. A more affordable alternative to the One Hour Fire-Rated option. Fitted with ½ inch gypsum, our mineral wool core, and 20 gauge steel studs, this option carries a Class A fire rating, but does not qualify for a one hour rating. For more great photos and up to date product information, check us out on Facebook and follow us on Twitter.